Are your customers looking for a voice & voicemail solution that is both affordable and provides enterprise class performance? 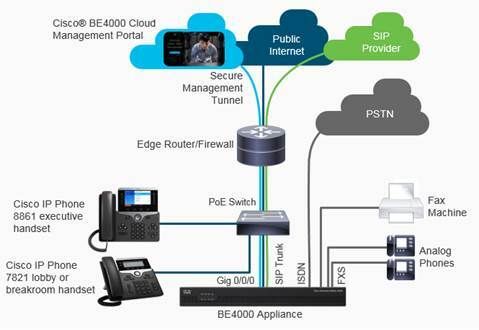 Are you looking for refresh, displacement and enablement assistance within your customers existing UC environment? 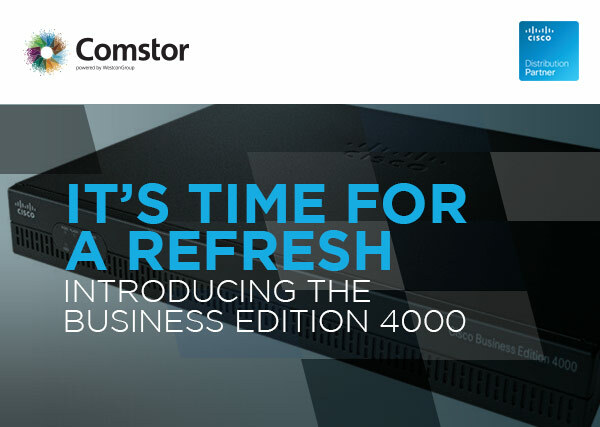 Comstor and the new Cisco Business Edition 4000 have the answers you and your customers are looking for. Combines an on premise appliance with a cloud based management portal – lowering IT admin overheads. Creates recurring revenue via per device (typically phones) licensing model. Provides a migration path to cloud or hybrid collaboration if required. With the added Cloud Management portal and recurring revenue this provides, you will need to be enrolled in the Cisco SaaS Subscription Resale Program to resell the BE6K, which provides further opportunities selling Cisco SaaS subscription products. Example BE4000 20 seat office solution BOM and price guide. What Partners Can Sell the BE4K? Be a Registered or above Cisco Partner. Be enrolled in the Cisco SaaS Subscription Resale Program. Complete BE4K Partner training. First of three (3) Video on Demand (VOD) training modules now available. More coming soon. No charge for training. Approximately 3 hours. Workspace Bundle with up to 80% off on BE4K & 75% on Phones for commercial customers or Collaborate Everywhere where applicable. Value Incentive Program (VIP) on phones, BE4K appliance and licenses sold via the SaaS Annuity VIP track. Sell BE 4000 tab is your link to all BE4K enablement resources. Access to; Ordering Guide, Partner Authorization Process, FAQ’s, Data Sheets, link to Training Modules, Quick Pricing Tool, Proposal Templates and much more. Use BE4K to sell into competitive space & position against Avaya using Project Liberator assets. and trademarks of WestconGroup, Inc.
Ⓒ 2017 WestconGroup, Inc. All Rights Reserved.